Hello dedicated Tree Speak reader! Our blog has a new home at http://caseytrees.org/blog on our new website. Your bookmark should redirect to our new page, so there's probably no need to fix that. If you subscribe by RSS, make sure to update your RSS feed. The new RSS feed for our blog is http://caseytrees.org/blog/feed/. Here at Casey Trees, there's little that tickles our fancy more than an empty tree yard waiting for it's first delivery of the season. Between tomorrow and mid-April, 652 trees will come through our tree yard before being planted all over the District. The trees will be planted in Community Tree Plantings or as RiverSmart Homes in neighborhoods, schools and parks in every single ward. Will you be planting any of these trees? 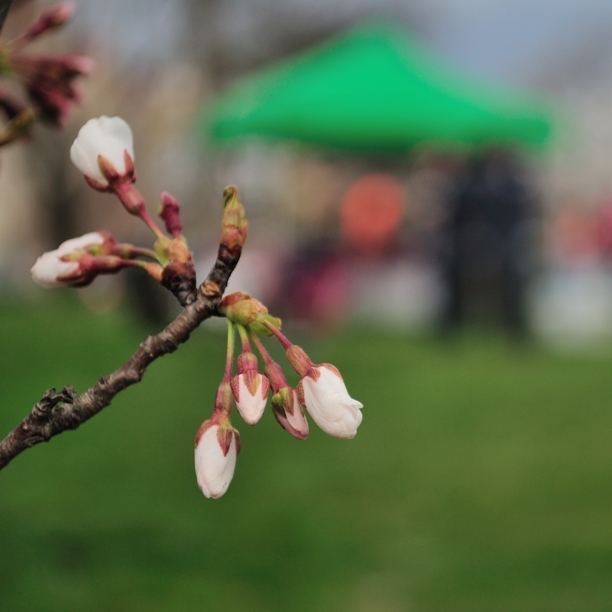 Help us bring a little green to our communities and get to know your neighbors by signing up for a Community Tree Planting event today. 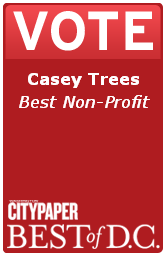 Tomorrow is your last chance to vote for Casey Trees as the Best Place to Volunteer and the Best Non-Profit in Washington City Paper's 2012 Readers' Poll. If you haven't voted yet, there's no better time than right now! Go ahead — we'll wait. Great! Now that you've voted, pass the message along to friends, family, coworkers and neighbors, and make sure to tell them to vote by 11:59 p.m. EDT tomorrow. Remember, your vote spreads the word about all the work that we do here at Casey Trees planting trees around the District and educating the public on just how important our tree canopy is. On Friday, February 24th, students from the George Washington Law School’s Environmental Law Association (ELA) partnered with Casey Trees to plant 23 trees on GW’s Foggy Bottom campus. 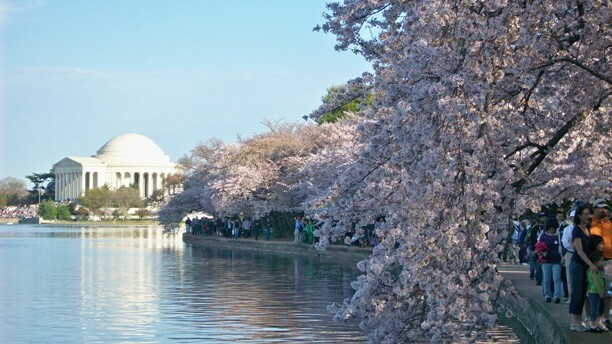 This is the first time that the GW ELA has contributed to the One Million Trees Project, a nationwide effort led by the American Bar Association to plant one million trees across the United States by 2014, aiming to educate citizens about the benefits of trees and their role in helping to fight climate change. Begun in March 2009, the One Million Trees Project has already planted 11,718 trees across the country with the help of lawyers and students. 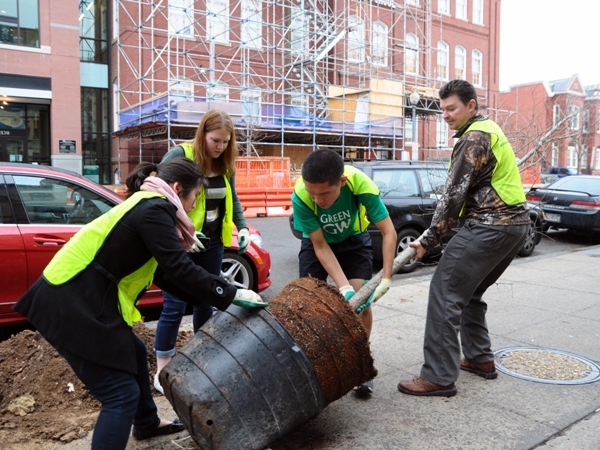 On Friday, 25 students and volunteers braved the afternoon rain to plant Zelkovas, Chinese elms and Willow oaks along the streets of the Foggy Bottom campus. GW’s Grounds Department also contributed to the effort by helping the students dig, plant and stake the trees. 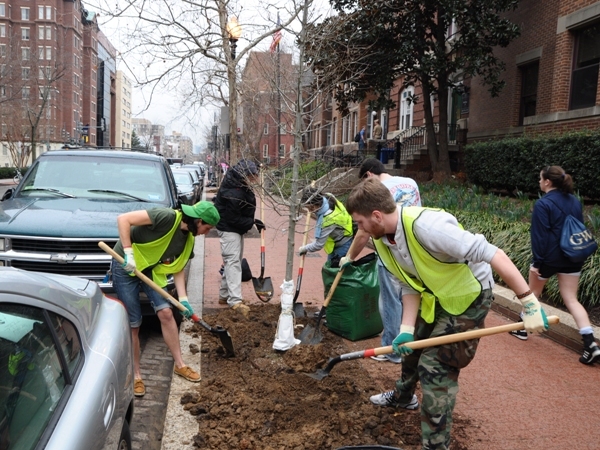 This planting event was funded by the GW Streetscape Grant which is working to making GW’s campus more sustainable and increase its tree canopy. 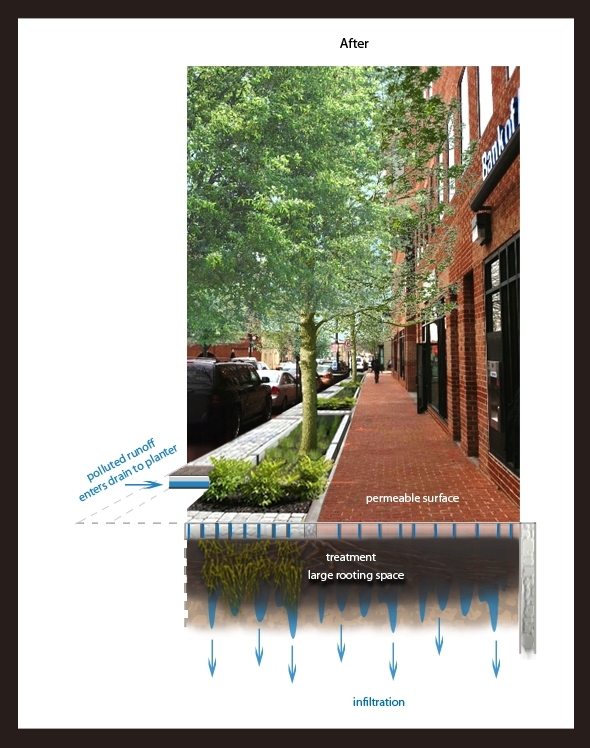 Through the grant, Casey Trees has partnered with GW to consult on campus development projects, analyze GW’s tree canopy and advocate for more trees on its campus. Future projects include reaching out to stakeholders regarding low-impact development. When Jim Sherald retired in 2010 from the U.S. National Park Service (NPS), he knew he wanted to stay in the horticulture field, even if it was in a different capacity. 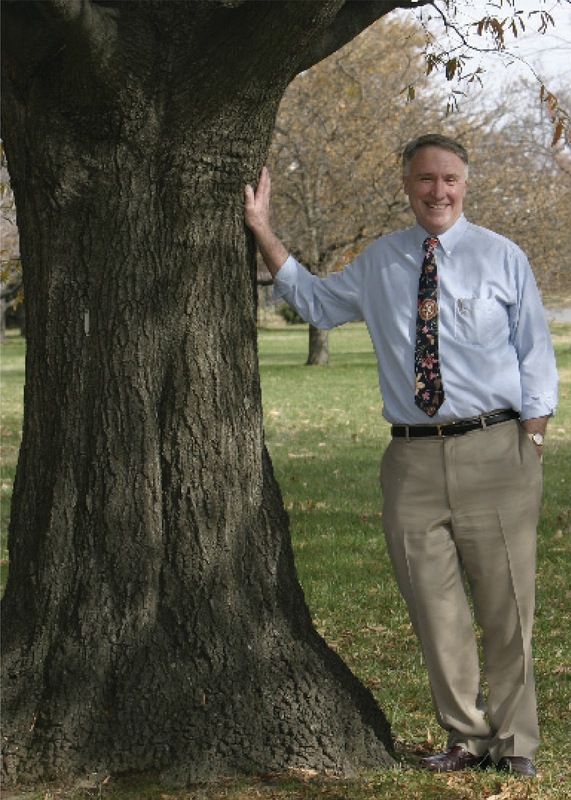 Enter Casey Trees, which Sherald worked with in the early days of the organization’s history as an advisory board member. Last year, Sherald became a member of the Board of Directors. “Joining Casey Trees again was an opportunity to remain in the field and share my experiences from NPS with an organization I thought very highly of,” he said. 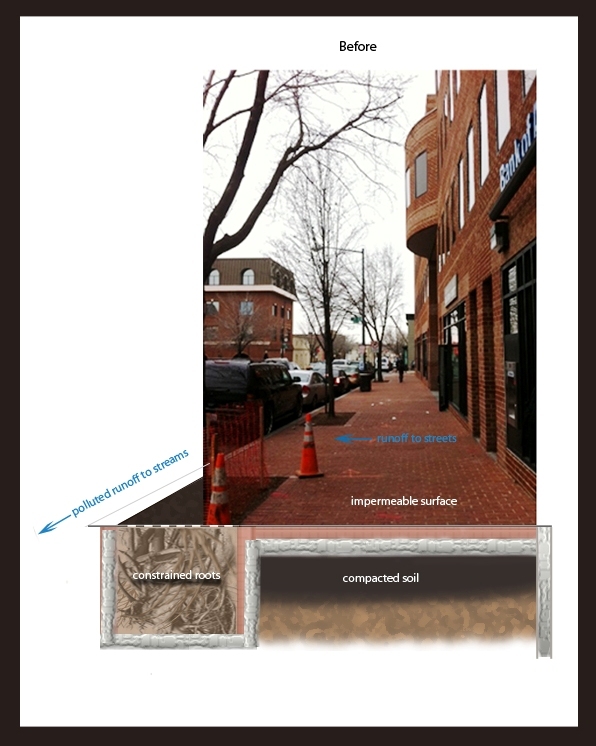 Sherald was instrumental in getting the 2002 D.C. street tree inventory completed and in his second stint with Casey Trees, he is glad to help plan for the future. 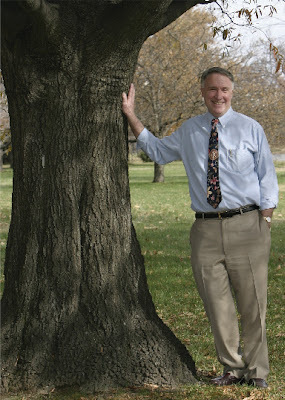 Trees — American elms in particular — are Sherald’s first love, one he gladly shares with Casey Trees. 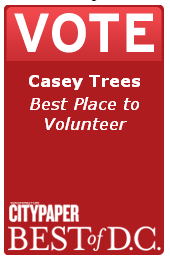 But the aspect of Casey Trees that he finds most important is citizen engagement. Sherald participated in his first Community Tree Planting event last December at the Franciscan Monastery in Brookland. He was inspired by how many volunteers showed up and how enthusiastic they were to plant trees. When he speaks with people about his involvement with Casey Trees, Sherald talks about how well the organization has been brought people together. This Board of Directors Spotlight was featured in the February issue of our e-newsletter, The Leaflet. Read more stories from The Leaflet and sign up to updates from Casey Trees.